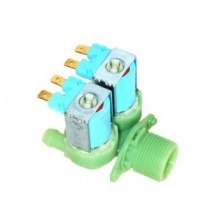 This genuine replacement triple solenoid valve is available to fit Candy washing machines listed below. 'Parts 4 Appliances' is a family run business, established in 1998. 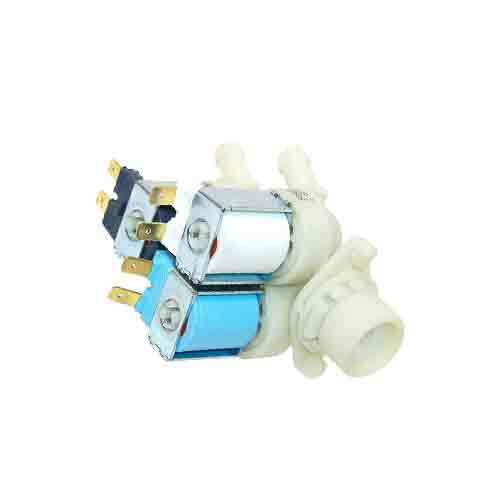 We stock thousands of genuine and quality compatible spare parts for all kinds of domestic appliances, from Washing Machines and Tumble Driers to Fridge Freezers and Cookers, from leading brand names such as Hotpoint, Bosch, Hoover, Electrolux and loads more. To find the correct spare parts for your appliance, simply enter your model number into our search box near the top of our site and we'll find everything you could need, quick and easy. 2019 © Parts 4 Appliances. All rights reserved. Secure payments via Cardsave.